Heather and her partner in both business and life, John, made their way to Arizona from Ohio in 1996. Having spent many years working together both in and out of public accounting and gaining a broad experience in executive level financial and operational roles, the two endeavored to create Accelerated Consulting, a consulting practice with services ranging from executive management and software development, to healthcare and insurance products. The success of their practice has afforded them the privilege of helping others through volunteering and supporting various community organizations, each of which has held a special place in their hearts. While serving on the board of directors for The Arizona Pet Project, Heather met this year’s Dancing For Arizona’s Children Event Chair, Brian Hatfield. Hearing of Brian’s experience with Arizona Children Association and all the incredible work they do, and always having had a great appreciation for dance and the arts, Heather was quick to accept when Brian recruited her to participate in this year’s event. 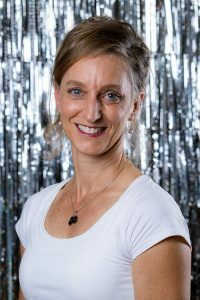 With literally no dance experience, Heather knew this would be a challenge, but also a great way to support a tremendous cause and have some fun along the way. Heather is driven by challenge, as you can frequently find her and her husband riding thousands of miles per year on their bikes and through the mountains of Colorado, so what’s a little ballroom among friends? Support Heather Iorillo by purchasing your sponsorship, People’s Choice Votes and/or tickets below to attend our brunch event on December 1, 2018. If you aren’t able to attend, you can still support her by purchasing votes for her to win the People’s Choice Award!